LAHORE – The 26th Governor of Punjab, Salmaan Taseer, who belonged to a respectable and intellectual family, started his political career from platform of the Pakistan People’s Party (PPP). He was the close aide of former PM Benazir Bhutto and close relative of renowned revolutionary poet and journalist Faiz Ahmed Faiz and politician Mian Yousaf Salahuddin. He was the son of Muhammad Din Taseer, popularly known as MD Taseer, who is the first PhD degree holder in the Indian sub-continent. Taseer did his O Levels from the Saint Anthony’s High School, Lahore. He received a Chartered Accountant degree from London and was the chairman of a big media group and also ran a telecommunications business. On 15 May 2008, Taseer was nominated as the Punjab governor by the PPP-led federal government to replace former Punjab governor Lieutenant General (r) Khalid Maqbool. Taseer started his political career in his student era, as member of Zulfikar Ali Bhutto’s Pakistan People’s Party (PPP) in the late 1960s. He was part of the movement for Bhutto’s freedom and opposed his arrest and death sentence. He also wrote a political biography on Bhutto titled Bhutto: A political biography (1980). In the 1988 general elections, Taseer was elected a MPA from Lahore. In the 1990, 1993 and 1997 general elections, he ran as an MNA but lost. He had remained PPP Punjab Information Secretary and Punjab Deputy opposition leader from 1988-1990. He had also took an active part in the MRD movement in 1985 and was imprisoned many times during his political career. 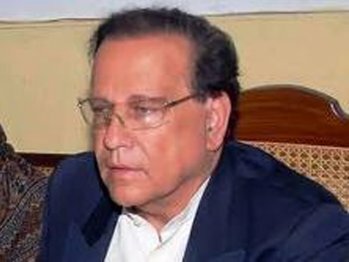 Taseer was selected as federal minister for industries, productions and special initiatives in the caretaker setup under PM Muhammad Mian Soomro for four months in 2007-2008. Taseer had a Chartered Accountant degree from England and Wales and was considered as a high-profile Charter Accountant and business tycoon. Taseer began his business career by successfully setting up two chartered accountancy and management consultancy firms including KPMG, United Arab Emirates and Taseer Hadi Khalid and Co, Pakistan. In 1994, he established the First Capital Securities Corporation Limited (FCSC), a full service brokerage house, with equity participation by Smith Barney, part of the Travelers group and HG Asia based in Hong Kong. Since then he has been actively involved in establishing other companies in the financial services sector as well as telecommunications, media, insurance and real estate development sectors. Under Taseer’s leadership, the First Capital and World Call Group has grown remarkably and the group presently operates in the areas of telecommunications, technology, retail and property development, financial services, and print and media businesses with global footprint. Taseer also owns the Daily Times newspaper, Urdu daily Aaj Kal, Business Plus TV channel, the first kids channel Wikkid Plus, Pace shopping malls and Hyatt hotel range in Pakistan. Taseer had vast experience of specialisation in merger and acquisitions, flotation, investment banking and stock market analysis and also delivered presentations on various financial issues. He had also been an author of a number of articles on investment and financial subjects. He also served as a member of the Board of Export Promotion Bureau of Pakistan and on the board of USF (Universal Service Fund) Company Limited. Taseer was also the chairman and CEO of the First Capital and World call Group. Taseer founded the World call group with a payphone network in 1995. The group has grown over the years to become a major private sector telecom operator with national and regional footprint. A majority stake in World Call was acquired by Omantel, Sultanate of Oman’s incumbent operator, in 2008. Taseer was married to Aamna Taseer and the two resided in Lahore. They had six children including Maryam, Shehryar, Shahbaz, Sara, Sanam and Shehr Bano. According to some reports, Taseer also has a son, Aatish Taseer (born 1980) with Indian journalist Tavleen Singh. Married at the time, Taseer met Singh during a book promotion trip to India in the late 70s. Aatish is a freelance journalist in the UK and has recently written a book titled “Stranger to History: A Son’s Journey through Islamic Lands” on his estranged relationship with his father. Foreign Policy Magazine highlighted statements made by Taseer on Twitter during 2010 Pakistan floods and labeled his self published statements sarcastically under the title “Great moments in 21st century diplomacy” referring to them as an “ill-conceived joke” and “insensitive”. From 2008 onwards, the Pakistan Telecommunications Authority censored several website that were deemed to be critical of the governor’s lifestyle. In December 2010, as Punjab governor, he departed the country without handing over charge to the Punjab Assembly speaker, meaning that the province was without a constitutional head, and it also rendered the assembly speaker ineligible to preside over the session. Leaving the province without informing his successor was in violation of the constitution and this lead to calls for his resignation. Evidence provided by ICAO on the governors’ travel abroad, lead to a case being filed in court for breach of the constitution.